Inking on the Edge: Reverse Confetti...SFYTT # 18 and CTD # 318...Donut You Know...? Reverse Confetti...SFYTT # 18 and CTD # 318...Donut You Know...? Hello stampin' friends! My Reverse Confetti package from the NEW November release arrived on Friday! New yummy RC stash is always a good reason to get crafty! 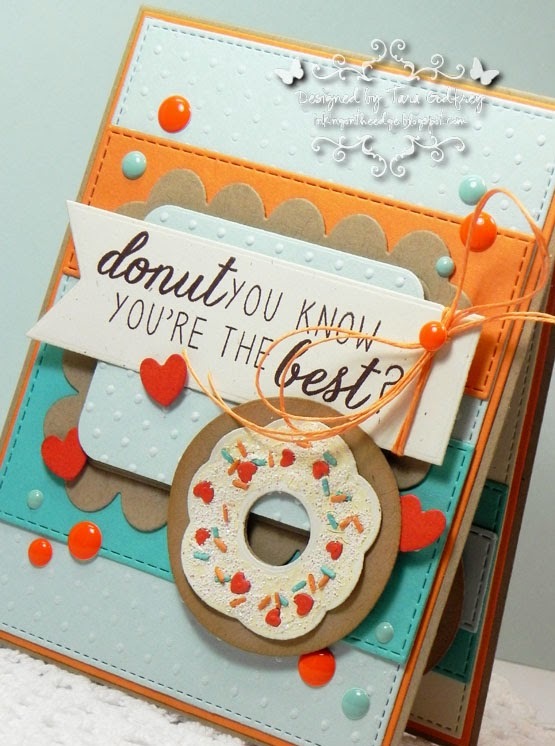 I just had to make a cute donut with the NEW Donut You Know Confetti Cuts....LOVE, LOVE, LOVE this sweet NEW Donut You Know Stamp set and coordinating Confetti Cuts. I made my card with MFT Replenishments Heavyweight Card Stock in Kraft, Primitive Cream, Sno Con, Blu Raspberry, Orange Fizz and Tangy Orange. I embossed the main Son Cone panel with my Swiss Dots Embossing Folder. I also used the Love Note and Class Act Confetti Cuts for the sentiment panel. I stamped the sweet sentiment from the NEW Donut You Know Stamp set with Chocolate Brown Premium Dye Ink on Primitive Cream Heavyweight Card Stock. I tied the sentiment flag with a little orange American Crafts Hemp Cord and added a few Your Next Stamp Gumdrops. 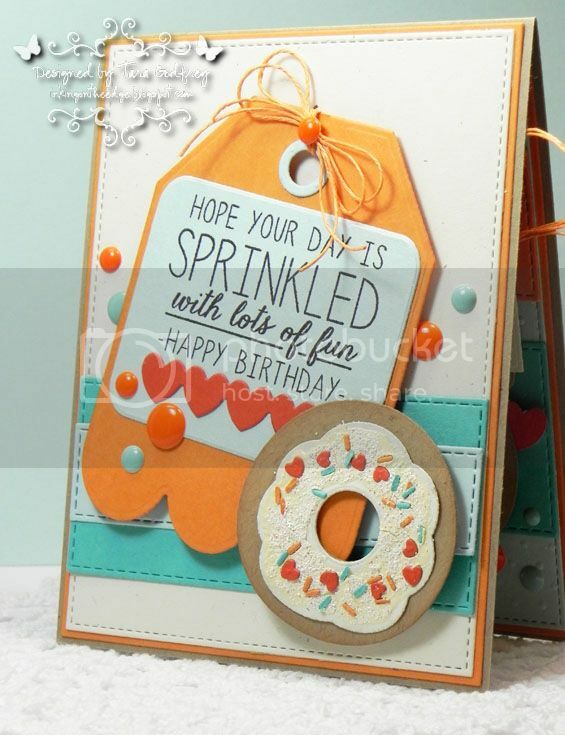 Jen shared how she used dimensional T-Shift Paint to make the pretty pink "icing" for the donut on her card HERE....such a great idea but I didn't have any T-Shirt Paint handy! I decided to test out my Viva Decor Paint Pen in cream. I think it worked out nicely. I added the die-cut "sprinkles" that come in the NEW Donut You Know Confetti Cuts and also sprinkled the donut with some glitter when the Viva Decor Paint was still wet so that it would stick. 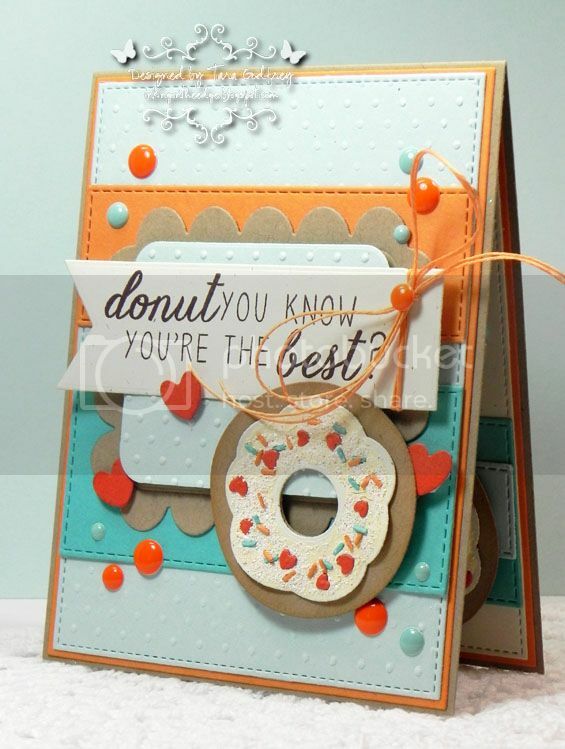 I finished off the inside of my card too...I just had to add another cute donut layered over the scalloped tag cut with the Tag Me, Too Confetti Cuts. 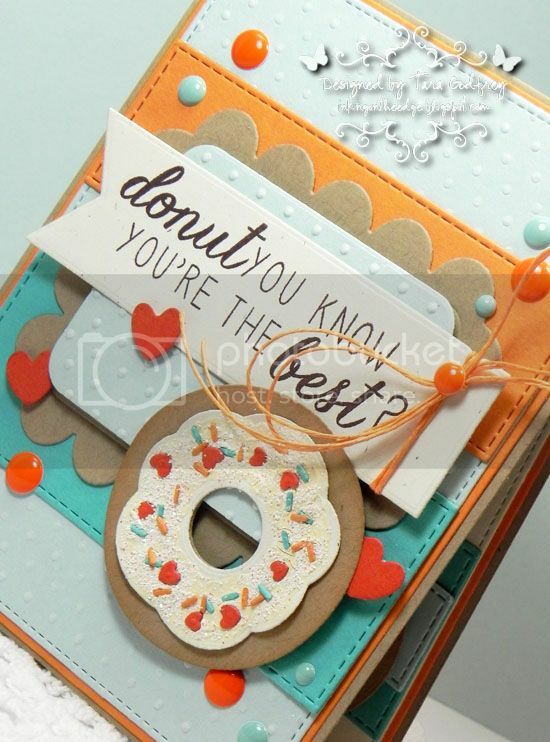 I stamped another sweet sentiment from the Donut You Know Stamp Set. 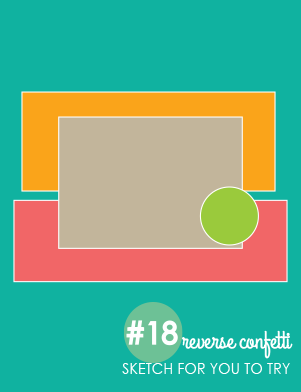 Thanks SO much for stopping by and having a little look at my Reverse Confetti card for the RC SFYTT # 18 and the Color Throwdown # 318. 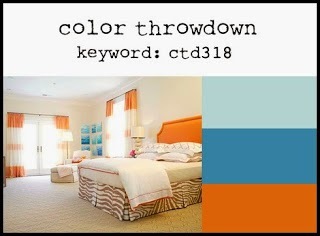 Fabulous use of the sketch and colors!! Adorable set/dies!! Thxs for joining us at CTD!! This is adorable! Love that little donut. Love your work!